The FR1200 Ribbon Fire is part of our Spirit range of gas fires hand made in the UK. The FR1200 is a very large and impressive fire with a dancing ribbon of flame. 10Kw gas ribbon burner with remote. Opening size = 1200mm x 270mm, depth 315mm. 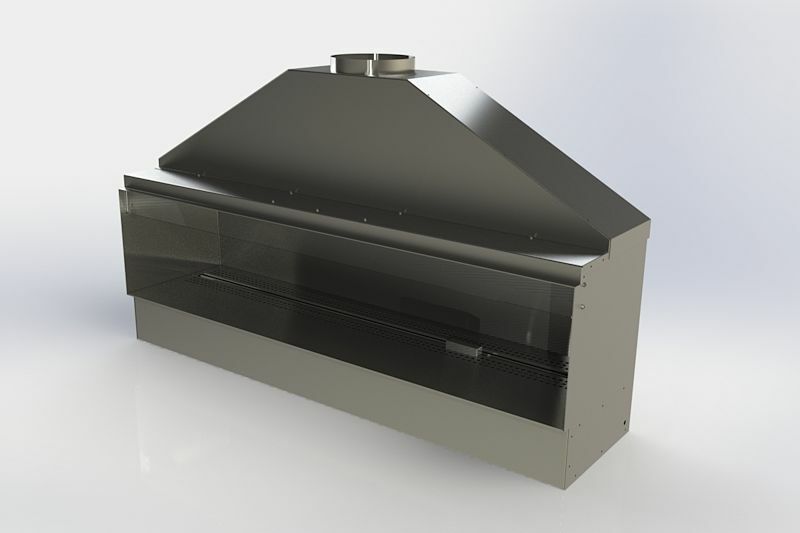 The fire can be used with any existing class 1 brick or precast chimney or with a 175mm flue liner. Click for more details and technical drawings. The FR1200 Ribbon Fire is part of our Spirit range of gas fires. The 10Kw gas burner has a dancing ribbon of flame. 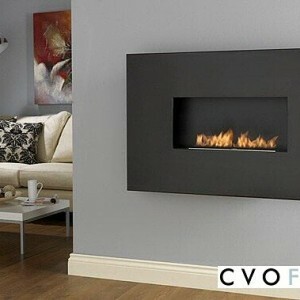 The FR1200 ribbon gas fire has minimal depth and is available with a black interior and either logs or pebbles. The fire is operated by an RF remote system with a handset. The remote is programmable and includes a thermostat to control room temperature. The FR1200 is CE approved for Natural Gas and is available for UK, Ireland and all other European Countries. This modern ribbon gas fire can be used with either a class 1 brick built chimney or with a 175mm flue liner or larger. 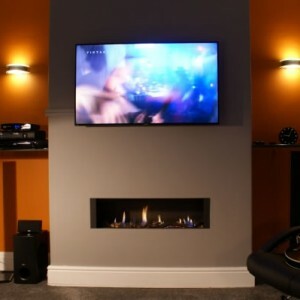 The fire has minimal depth allowing it to be installed in most properties. See technical drawings for dimensions and installation information. 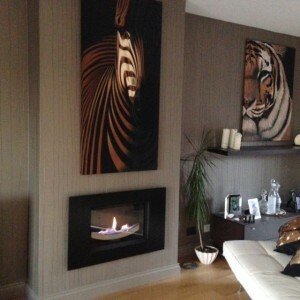 To discuss the installation in detail call sales on 01325-301020. The flow rate on full is 1.5m3 per hour, the pipework to the fire must be capable of supplying a steady inlet pressure and should be routed using at least 28mm pipes reducing to 8mm at the fire.